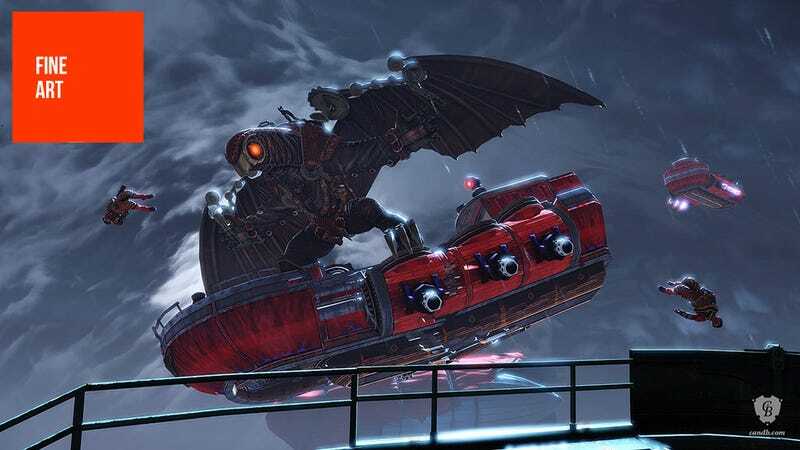 Art dealers Cook & Decker have teamed up with Irrational Games to sell some very large and very expensive prints, each displaying art from BioShock Infinite. Interestingly, the art isn't taken from the game's wonderful concept works. They're screenshots, though the word does them a slight disservice. These are prints based on the super hi-res and rendered environments normally used for magazine screenshots, meaning you're getting something that'll actually stand up to closer inspection. Be warned, casual fan, these aren't "posters". They range in price from USD$250 to USD$550, and that's just for an unframed print (though they do come hand-signed by series creator Ken Levine). If you want it framed, bring money.